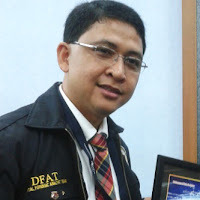 Dengan bangga, berikut ini adalah list 2 invited speaker untuk kegiatan Indonesia IT Security Conference (IDSECCONF) 2013 . AKBP Muhammad Nuh have been working for Indonesian Police Forensic Laboratory Centre (Puslabfor Bareskrim Polri) since 1997. His current job is the Chief of Computer Forensic Sub-Department with core duties to handle digital forensic investigation and analysis on electronic and digital evidence. One of the pioneer of developing computer forensic capabilities at Puslabfor Bareskrim Polri which was started in around 2000. Last year, in 2012 He and his team successfully investigated and analyzed 488 items of evidence which came from 81 cases of computer crime and computer-related crime. In 2012 He wrote a book with the title "Digital Forensic: Practical Guidelines for Forensic Investigation". Its contents is mostly from knowledge and science He got from joining the MSc in Forensic Informatics at the University of Strathclyde, in the UK in 2008/2009 through the Chevening Scholarships. In 2010, the British Council in Indonesia gave him a prestigious award as one of "The Super Six UK Alumni". 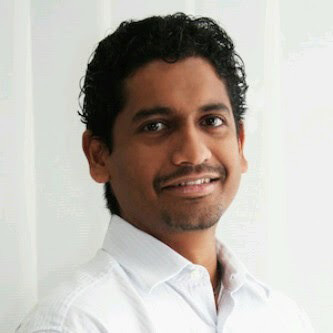 Sheran Gunasekera is a security researcher and software developer with more than 13 years of information security experience. He is director of research and development for ZenConsult Pte. Ltd., where he oversees security research in both the personal computer and mobile device platforms. Sheran has been very active in BlackBerry and Mobile Java security research and was the author of the whitepaper that revealed the inner workings of the first corporate-sanctioned malware application deployed to its subscribers by the UAE telecommunications operator Etisalat. He has spoken at many security conferences in the Middle East, Europe and Asia Pacific regions and also provides training on malware analysis for mobile devices and secure software development for both Web and mobile devices. He also writes articles and publishes research on his security-related blog, http://chirashi.zensay.com. In 2012, he authored the book "Android Apps Security" published through Apress.